THE 4th edition of Exhibition Excellence Awards was held recently at India ExpoMart Grater Noida (NCR), Delhi as an initiative to recognise the efforts of the Indian exhibition industry and to acknowledge their contribution. The event was organised by Exhibition Showcase Media and was supported by Ministry of Micro, Small and Medium Enterprises (MSMEs), Ministry of Skill Development, Ministry of Tourism (Incredible India), NSIC, ASSOCHAM, PHD Chamber of Commerce and Industries, Indian Exhibition Industry Association (IEIA), Indian Exhibition Services Association (IESA), Indian Industries Association (IIA), UFI, IAEE, Indian Convention Promotion Bureau (ICPB). Over 1,000 exhibitions are held in India across a wide range of industries, each year. There were total 36 award categories for exhibition organisers out of which 25 fall under sector specific entries. The winners were judged on the basis of number of exhibitors and net exhibition area. The awards were also given to the personalities who had contributed to the growth and development of exhibition industry by their excellent work. Ravi Boratkar received the prestigious ‘Exceptional Leadership Award’– Exhibition Industry. 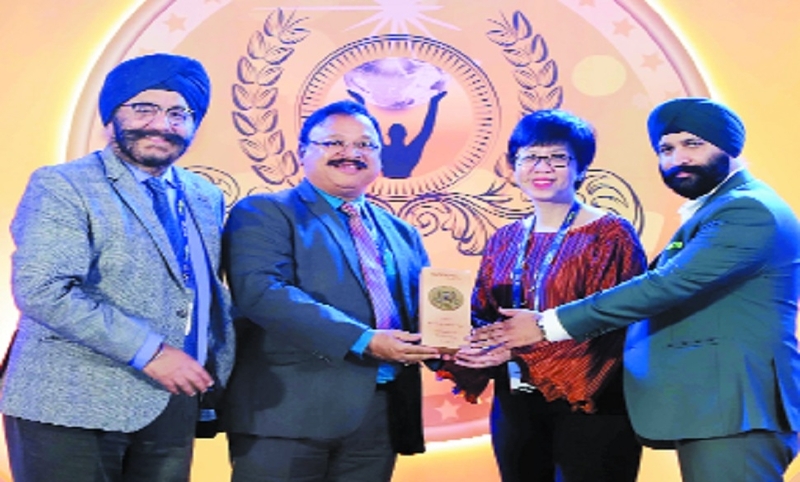 Boratkar received the award at the hands of Priscilla Leong, Secretary, SACEOS, Singapore and Ravindra Sethi, Vice-President, Indian Exhibition Industry Association.